Photo courtesy: USDA Agricultural Research Service, Photo courtesy: Peggy Greb/USDA. The gestation period for cattle varies, but usually lasts 276 to 283 days. 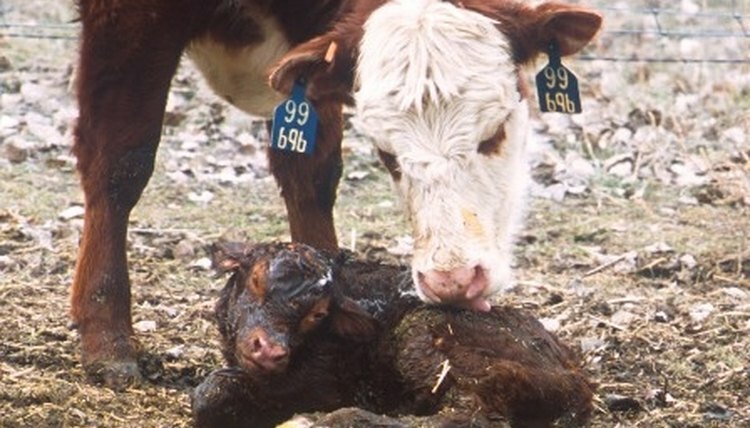 Calf gender, age, breeds, and multiples are among factors affecting gestation length. 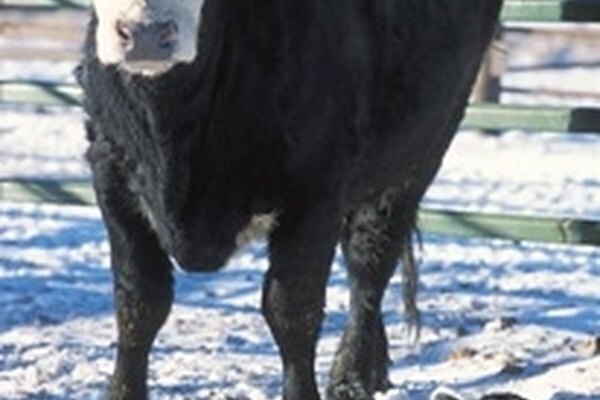 Getting cows pregnant once a year is essential to the production cycle on farms. Miscarriage can be as high as 30 percent the first 21 days but will drop to just 6 percent by day 42. At three months, the fetus is mouse-sized. By the end of the fifth month, the fetus is too far forward in the body cavity to palpate, but structures can be felt. Extra nutrients are needed to assure proper fetal growth, a healthy calf at birth and optimum milk production. The fetus is now cat-sized. Feed requirements continue to increase. The fetus makes 70 percent of its growth in the last trimester. Farmers stop milking cows 45 to 60 days prior to the expected calving. As it nears full-term, the fetus ranges from about 50 to 100 lbs. Because the unborn calf is largely protein, the need for protein greatly increases. Cervical dilation takes two to six hours. The cow appears uneasy. When the calf's head or feet enter the birth canal, it stimulates abdominal straining with delivery taking one-half to two hours.